Below you can find the most common Frequently Asked Questions in an overview. If you have additional or other questions that are not being listed, please get in touch using the contact form on the contact page. Who are the people behind Elitium? The Elitium core team exist out of highly skilled people with expertise in the yachting industry, luxury goods and services, digital marketing, mobile applications, blockchain, legal and financial matters. What is the Elitium Network? The ecosystem of Elitium is the Elitium Network, which is built on the EUM to enable fast, secure and anonymous transactions on the platform. 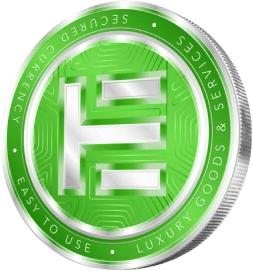 Users of the platform will be able to securely pay supply partners with EUM for providing various luxury goods and services on the Elitium Network. The Elitium Network has been thoroughly designed to cater for different types of customers with different needs and preferences to fully cover all customer profiles in the market. Users of the Elitium Network will be able to securely pay supply partners with EUM for providing various luxury goods and services on the Elitium Network. Hence, the function of the EUM Coin is to serve as a means of exchange on the platform. Elitium is the first platform that will be able to connect luxury brands and consumers through an innovative blockchain solution on global scale. Our primary goal is to remove any barrier for mass adoption of blockchain-based solutions in the luxury industry. Elitium has the potential to set a new standard in the current luxury marketplace by developing a secure, fast and easy-to-use platform for a wide range of consumers. What is the Elitium Lifestyle App? Why use a blockchain-based solution? Security: The deployment of a blockchain-based payment system leads to increased security for transactions of users compared to other traditional digital payment systems. Lower transaction fees: The unique characteristics of blockchain technology enable companies to operate a lot quicker and in a more cost-efficient way, resulting in less transaction fees. Increased operational efficiency: blockchain technology enables the potential for highly automated business processes through the use of Smart Contracts. Why use an own native currency? Sustainability of ecosystem: The EUM coin increases the stability of the platform as Elitium is not dependent on the viability of other (crypto)currencies. Hereby, any potential risks with other (crypto)currencies e.g. potential security flaws, price manipulation and volatility are mitigated. Customization of smart contracts: With the deployment of our own native currency we make it possible to provide pre-coded smart contracts with certain degrees of customization for e.g. each type of renting agreement.